I couldn’t help but notice during my 2 ½ days with them the leader Phil, and his “servant leadership” attitude and actions. We stayed a remote log cabin on Phil’s property that a close friend of his had built. The setting was perfect, absent any distractions or interruptions save for an occasional deer or animal roaming on the property. Every morning Phil would get up early to prepare breakfast for us. He would continue that by preparing lunch and then dinner as well. Phil cleaned up, asked for help when necessary. By example I sensed Phil showed what he expected his leadership team to follow. His actions provided an idea to consider the commonalities that all my customers share. 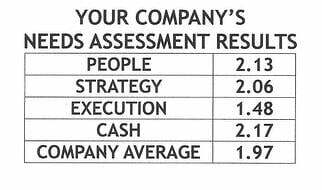 In each case its leadership in the top spot in these companies. This doesn’t mean they don’t have great leadership teams, indeed in most cases the leader recognizes his strengths and weaknesses. 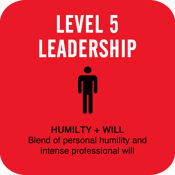 These leaders are smart enough to know they need to fill their leadership team with people who augment and balance their considerable skills and talents. 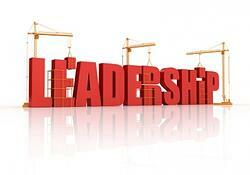 So here are some of the leadership skills my customer’s leaders portray. If you’re familiar with the book Strengths Based Leadership and its key findings you’ll recognize that leadership doesn’t come in ‘one size fits all’. Rather, while leaders don’t need to be balanced in their strength set, it serves a business team well to have a representation of in each of the four domains of leadership strength (Executing, Influencing, Relationship Building and Strategic Thinking). Instead of one dominant leader who tries to do everything, or individuals who all have similar strengths, contributions from all four domains lead to a strong and cohesive team. This doesn't mean that each person on a team must have strengths exclusively in a single category. In most cases, each team member will possess some strength in multiple domains. It suggests that getting the right people, with the right strengths, is what good leaders recognize. For the sake of keeping my customers anonymous, I will simply use their first names to identify them. Starting with Phil’s leadership qualities, while facilitating the meeting, it was clear Phil is gifted in people/relationship skills. Phil demonstrated excellent listening skills, often complimenting his leadership teams for their powers of observation, successes and ideas. His experience in sales helped him influence and persuade his team toward his viewpoint. Just as importantly, his attentive listening skills and patience allowed his team members to fully participate, engage and soak in their contributions. It requires great self-control and humility to reserve the compulsion to dominate your planning sessions. Phil demonstrated great constraint here as well. Dudley is leader of the largest company I coach. He is relentless at building his company’s culture and providing clarity on the strategy of the company. Perhaps the most impressive characteristic Dudley presents is his humility and unselfishness. Rarely is the focus on him, indeed he shuns the spotlight, preferring to allow others on his leadership team take the center stage in meetings with staff. I’ve referenced Dudley several times in these blogs for his inexorable efforts to achieve complete clarity on the company’s Core Values, Core Purpose and Strategy Statement. Every meeting he starts out asking staff and leadership team members to put into their own words their interpretation of what these key strategic elements are. Combining objectivity and emotional influence in your business is often a delicate balance. Scott demonstrates spirituality about himself and with his people that is truly uncommon. He rewards his people well for their contributions. He also displays openness with his team members and recently has shown remarkable skill at empowering his leadership team to freely lead without interference. Finally, Scott’s most endearing quality is his genuine and sincere interest in the lives of his staff members. He won’t allow it to interfere with their work performance, yet he is absolutely committed to each of his employee’s personal growth. Spirituality is something you could never separate from Joe. Joe’s Christians beliefs are a center point in his business and relationships. In Recruiting and Hiring with Core Values we shared his extraordinary commitment to the Core Values of his business. Joe also demonstrates a high level of delegation capacity. He has complete faith in his leadership team to accomplish the accountabilities for their positions. He is confident in allowing his leadership team to achieve their priorities. This confidence inspires his team to perform at high levels. Perhaps his greatest skill beyond his unshakeable faith is his creativity. Joe has an exceptional ability to build partnership relationships. One of these has contributed to well over $4 Million in revenue for his business in the past year by adding a new product line called Wholetones. If you’re a lover of Christmas music I’d encourage you to visit their latest offering Wholetones Christmas. Fred runs a music store and has been with me since I was an E-Myth Coach. He recognizes, more than anyone else I work with, the value of a customer and how small things make an impact. He’s always looking for the long term and how he can provide service to his customers so when an opportunity appears in the future, he and his company are the provider of choice they will turn to. He is supremely confident in his ability, which is contagious. His customers and prospects see this and it attracts people to him. His greatest ability is his teaching skill. Whether it’s with a student, employee or customer, Fred is always teaching. Wonderful perhaps, yet I know of no one who is as capable of taking a moment of success or failure and using it to impact someone more positively than Fred. I learn constantly from the stories he tells me about his interaction with others. Mike runs a small remodeling business. For a small business owner, he is remarkably intelligent. His ability to absorb ideas, to build systems quickly, contributes greatly to the success he’s achieved. His greatest quality is his focus on customer service. His intention is that every customer becomes a referral source. His company’s core purpose is to provide unconditional respect for you and your home. Believe me, he practices what he preaches. There isn’t a leader I work with that is more committed to his customers. I just started working with another Mike, who I have great respect for as well. He, too, is an exceptional listener. Perhaps his greatest characteristic is his discipline. Since we began working together on the Scaling Up and Rockefeller Habits he’s been completely immersed in the attention to detail. He wants to make sure he and his leadership team stay regimented to the approach. Mike is the CEO of an Engineering firm his dad started. If you know anything about family businesses, it’s difficult to follow your father’s success. Something Mike shares with Dudley (another family business in its 2nd generation) is achieving success beyond their dad’s original intentions. Mike’s company is very successful and the reason he looked to Positioning Systems is, he knew he needed help to take the company to the next level. He’s open to learn and has a relentless appetite to absorb best practices. His engineering background makes him particularly good at details. Yet it’s his disciplined approach that makes this attribute so valuable. Lee is a customer who also started with me when I was an E-Myth Coach. He owned another business at that time. This business of working with commercial contractors is truly his passion. Despite dyslexia and ADHD, Lee has turned these into an advantage. He’s very systematic, almost to a fault. He is relentless with his team in helping them recognize the system is the solution. He is also extremely self-disciplined. He demands his people keep their meeting rhythms and stay true to the system approach. When something fails, he will be the first to create or build a system to prevent it from recurring. One of his outstanding characteristics is more of a recent development. The company reached the milestone of exceeding $5 million in sales this year. He’s become superior at empowering his employees, recognizes his weaknesses and delegates those areas to his staff. He recently returned from 3 week vacation in Viet Nam. He can take more time off because of his ability to delegate and empower his people to do what they do best. All these leaders share a common trait and learning. They are all ferociously determined to learn more on how to improve self and get their team and staff to develop. How does your leadership match up? Next blog we return to the Six Lies that keep us from achieving our One Thing with a focus on why Big Is Bad is a lie! Merry Christmas to you and your families! May you be blessed with the joy this season brings to the world.